You have just written an article and you would like to post it on this site? Fill out the form below with your proposal and you will be contacted by the editors. 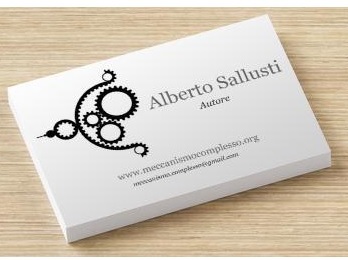 If your proposal will be acceptable, you will receive the WRITER role in the Meccanismo Complesso community. With this role you can access internal editor in order to write all the articles you wish. More articles you write the more your level will rise within the community. 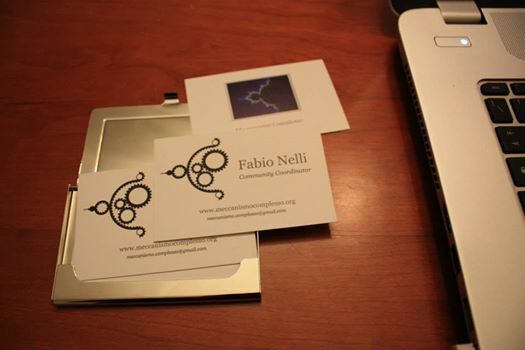 Authors of the highest level will receive a business card set of the community, at the end of each year. They will also be invited to seminars, courses and exhibitions to present their ideas to the public. Check page of recommended topics, you can earn BONUS points for each article written! 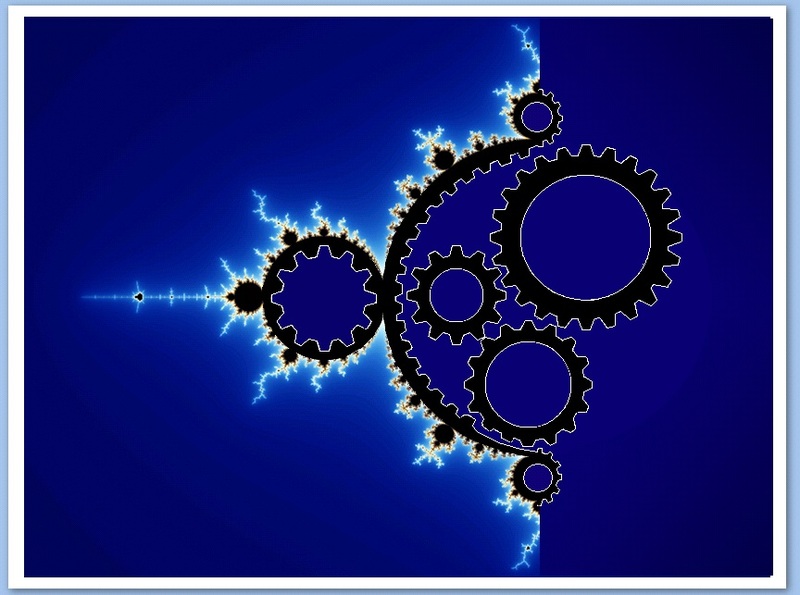 This page contains a list of possible topics required by other members of the community or with high interest. Fill the following form. An editor will contact you as soon as possible! 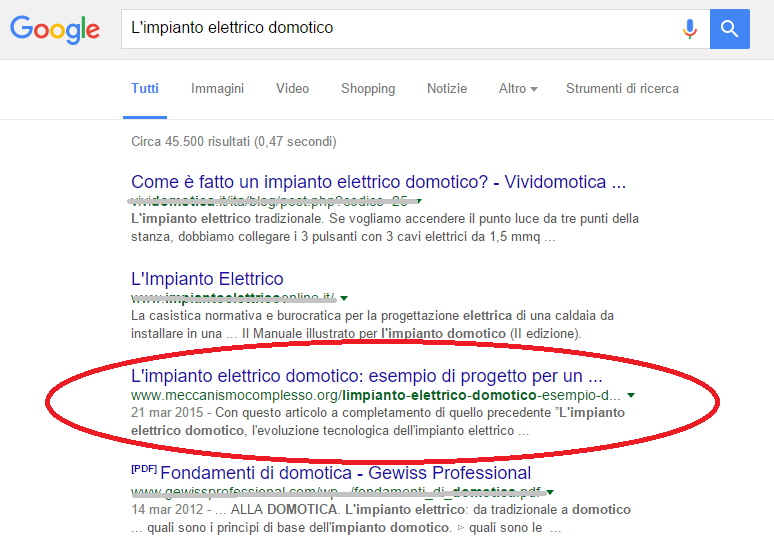 Once you article will be published, it will be visible by search engines (however you have to wait some hours…). The position of your article in the list will depend a lot on various factors, including the interest of the chosen topic, the pertinence of keywords with the search phrase and also on the number of visits that your article has received. Furthermore, if you are a Google+ account, you will see your picture near to your article. Furthermore, you article will be also published on Facebook. 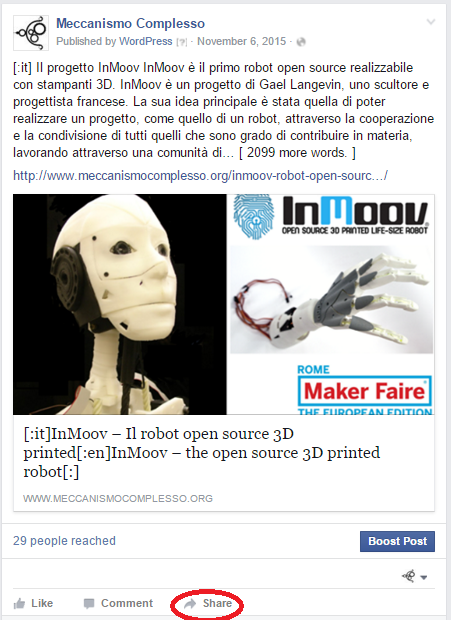 You can find it in the Meccanismo Complesso, the official Facebook page of the community. At this point it is advisable to make a reply with your Facebook account to increase the sharing of your article and place it in vision directly to all your contacts. 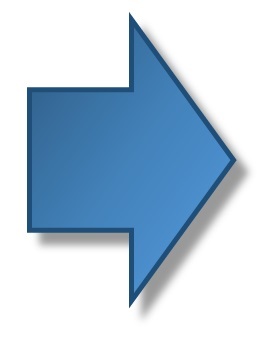 (Clicking on SHARE as shown in the figure below).